I was looking at different projects on KickStarter, seeing what is new and marveling at the creativity on display, and saw some projects that are ending soon and could use a bit of attention. These are projects that, as of this writing, haven't funded yet but look very interesting to me. Check them out, support them if you like them and can. Please remember, that even if you can't support a campaign financially, you can make a great impact by sharing the link on social media platforms. A single share can reach hundreds or more people and introduce them to new things to enjoy. This unique, ambitious project is unlike anything else I've seen this year. The art displayed on the page really points to the primitive setting motif. 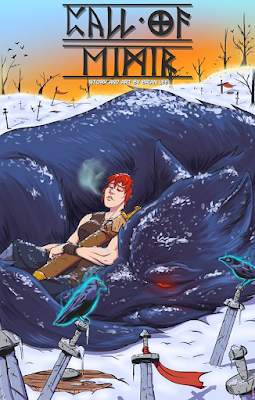 Its interesting, has a great potential for roleplay of classical myths, and comes from Joshua Newman (of Mobile Frame Zero and Human Contact). As of this writing the campaign is $527 (USD) from funding with 14 hours remaining. I like comics and there are great comics that were made possible through KickStarter. Odie looks really good and I lament that I missed the first issue, but that's okay because I can get digital of Issues one and two from this campaign. As of this writing, the campaign is $404 (USD) away from funding and has five days remaining (ending September 4th). The art for Odie looks really good from what I've seen of the campaign, so check this out and see if it would look good in your collection. Thanks for joining me for this atypical entry. I hope those of you planning your own crowdfunding campaigns will take a careful look at the different styles of these campaigns. Take note of what works for you and what doesn't and remember those features when you launch your own campaign. 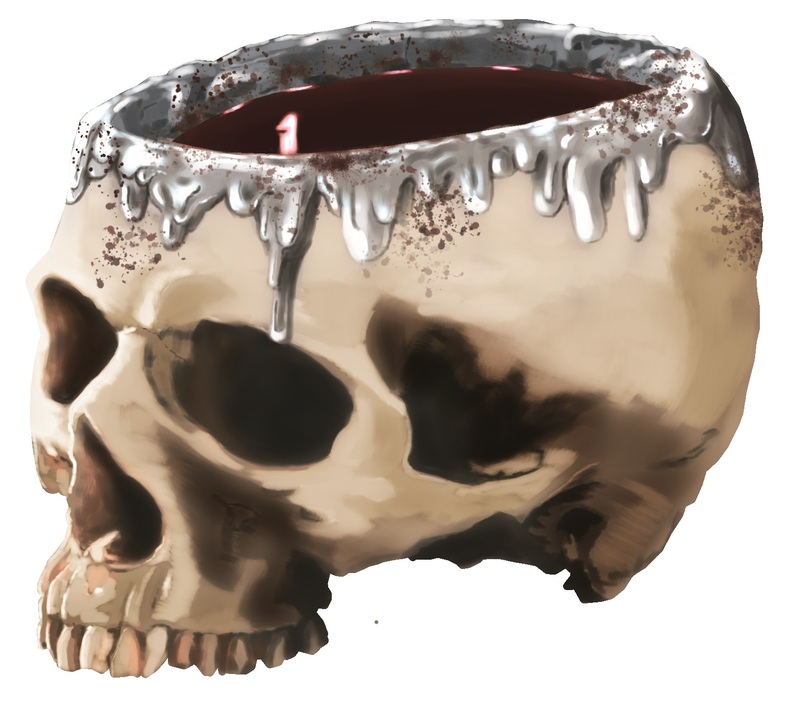 Enchanted Skull Cup from "Whispers of Persephone"
Fulfillment is underway of The Steel Road and I've learned a few things from some mistakes I managed to make. So, for the benefit of all (save the laughter for later please), lets talk about how NOT to make these mistakes. PDF fulfillment : When executing your PDF fulfillment, it is wise to create a separate file for upload, apart from your print file. Your print file is often at a higher resolution than that which you'll need for an electronic copy. Keep this in mind as it can make profound differences in file size and convenience to your audience. By way of example: I uploaded my "electronic" file and forgot this very basic premise, exporting it in all its nearly 470 MB glory (yeah, I know). Tonight, I'll be uploading the compressed files for The Steel Road's PDF versions. Take away from this: Create a checklist to prevent yourself from making little mistakes like this. It can help you to avoid huge inconveniences for your audience. Scheduling: I pride myself on scheduling for fulfillment. That said, I had some set backs during The Steel Road final formatting. One of the biggest set backs was that my computer suddenly, and catastrophically, died. RIP. Fortunately I had saved copy of the InDesign files off that machine (yeah, cloud services) and was able to resume work once I get a new system. This did, however, disrupt my time table when coupled with life rising up to eat my time up. The final stroke was that I uploaded my print files and ended up needing to make a few last minute changes. This is problematic when you are working on the weekend, and can't get the file rejected so as to upload the correct version. Take away from this: Upload your print files and electronic copy files during 'normal' business hours if at all possible. The extra couple of days can be very important. Now, these are things I really should have known better than to let impact my timeline. But they happened, and it has. The Steel Road PDF fulfillment is done (with the newly compressed file going out to make it more user friendly). Print including the print on demand codes, are running late as I insist on having a proof copy in hand before ordering copies or triggering the codes. This is so I can identify any printing problems before sending it on to the backers. I recommend this, as I believe in giving people the best quality book possible. Take that with you, and hold it close in your memory. The net impact is that the print and print on demand copies of The Steel Road will deliver a few days outside of the estimated fulfillment period. Originally I fully expected to fulfill this month (August 2018), but those POD codes and print copies will now be going out in early September. I hate being late. I have advised the backers through updates (please remember to post updates regularly, it is a great way to stay connected to your backers and to keep your project on track). The Steel Road was a joy to develop, and despite the initial difficulties with fulfillment, has been a tremendous amount of fun to put in the hands of backers. I've received a number of messages from backers who are very happy with the book. I'm keeping those, as it is a wonderful thing to know that people are enjoying your work. I also had several nice posts in comments about the book. I can't tell you how fantastic it is to hear that people are enjoying something I created. I hope you have the opportunity to experience this feeling. It's joyous. 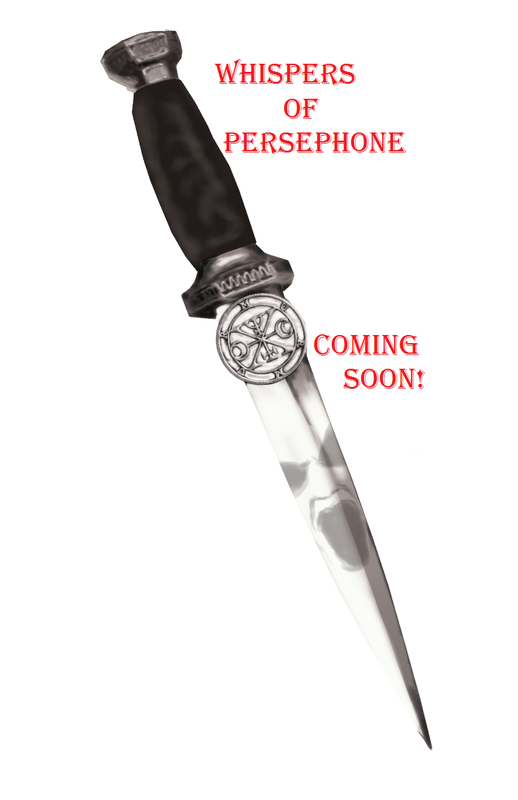 Whispers of Persephone has been pushed back twice now to allow for completion of the fulfillment of The Steel Road. That is as it should be. I'm using this time to work on the new file for the next round of play testing, which will be occurring during the coming month, through the kickstarter campaign, and concluding prior to fulfillment. This is the second round of play test, which is something I really recommend. I want my material to be the best it can be. I don't have the years of experience of the legends like Monte Cook or Steve Jackson, so I have to be careful and use the great thing that is play testing to make sure I'm not way off in my designs. It also happens to be great fun to talk with the people who are testing your material. Very often they have insights to offer, suggestions about things they would want in the book, that can really polish up the work. Listen to your play testers! Coming off fulfillment of The Steel Road, Whispers of Persephone is launching very soon. Having been pushed back a few weeks, it is impacting my timeline for other projects I intend to release later this year as well. That said, I thought about the KickStarter, the funding needed, and the best way to incorporate everything I want to accomplish and to give backers the best quality rewards I could. I concluded, that going will all digital rewards (PDFs and Print on demand codes) was the best way to provide good value to backers while raising the money needed for art. Crowdfunding has been a remarkable boon for me, allowing me to produce books I'm very proud of. I look forward to future projects and campaigns. I hope that you will create wonderful things for yourself and your audience, and know the joy of bringing that creation to other. I will be posting more about my crowdfunding/KickStarter experiences in the near future as more projects come up for funding. Will Whispers of Persephone be well received by the ttrpg community on KickStarter? We'll soon see. Thanks again for joining me on my adventures in game design, writing and self-publishing. I hope this entry helps you to avoid these mistakes and to achieve your own publishing goals. Art from this entry is from Whispers of Persephone and was created on commission by Christian Martinez. Copyright Sinopa Publishing LLC, all rights reserved. Whats new with Sinopa Publishing and what is to come. Editing for The Steel Road is proceeding at a fantastic pace. I want to thank Pat for all her hard work in rooting out those pesky grammatical irregularities that tend to crop up. (Thanks Pat!) At this point, I fully expect The Steel Road to fulfill on schedule, though signed copies will likely arrive in September due to printing and shipping times. The Steel Road will be available on Drivethrurpg.com following fulfillment. Whispers of Persephone survived the first round of play test months ago. Presently I am formatting a play test version that will go out to my entire play testing roster for a thorough shake down leading up to, and continuing through the KickStarter campaign. The KickStarter campaign has been moved back to September, to all for completion of the fulfillment of The Steel Road and so I can get physical proofs in to check the art in print. As a note to all of you who may be planning on publishing your own work in the future, if you have art on a page I recommend that you get a proof copy to see how that art fairs when it is printed. It will always look different than it does on screen. This is, in part, because your screen is backlit whereas the pages in your book are certainly not. All art for Whispers of Persephone was created by Christian Martinez. Tarot Adventures, Book Three: Death comes to Glenfallow ~ Things heat up when a dreadful villain sets her eyes upon Glenfallow. This adventure is designed to be of deadly level difficulty, incorporates a number of challenges, and brings new NPCs to the game. This book's art will be funded through KickStarter. Watch here for more news on this title. 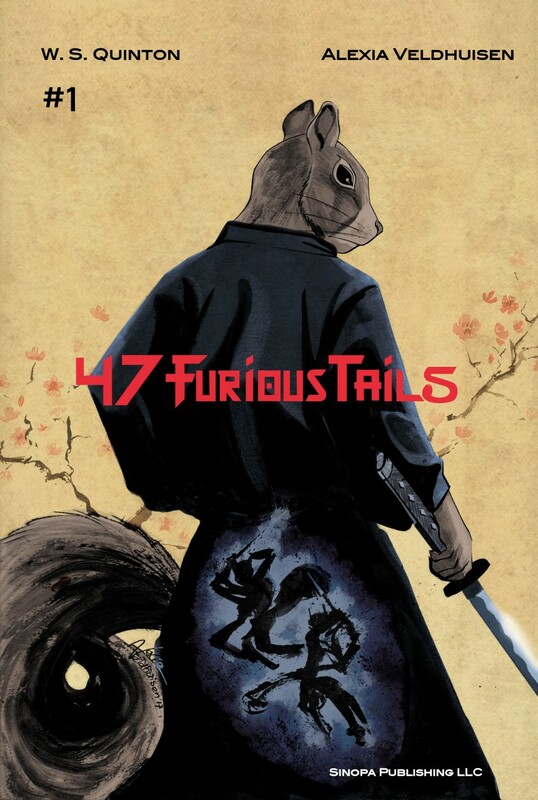 47 Furious Tails, Issue One ~ The story of 47 Ronin re-told with anthropomorphic characters. This project has been a real labor of love and is the first comic book I've written for publication. Art coming in has been simply amazing, as Alexia Veldhuisen is showing the world that she IS the modern samurai of comic book artists. 47 Furious Tails will have a total of twelve issues and will tell the story of the Ako incident. Beginning before lord Asano's fateful, final trip to Edo, issue one introduces principle actors of this historic act of loyalty. 'Untitled' comic book anthology ~ This title is packed with the original work of some amazing comic book artists and writers. We'll be launching a KickStarter campaign to fund printing and will be providing signed copies, signed by all writers and artists on the project, as backer rewards. 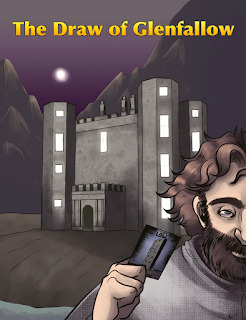 Tarot Adventures ~ The Tarot series continues as new adventures unfold in and around Glenfallow. Will your player characters continue to earn their reputations as heroes in light of new challenges? Fate can be fickle, and the future reveals strange twists in the life of Pieron. Look for several Tarot Adventures to be released in 2019! Luther's Revenge ~ Tale of the Wizard's Eye introduced the Cavern of the Damned and the spawn of the vampire Luther. Now he is seeking his revenge for the death of his bride. Survive the machinations of this villain or become one of the undead. Thank you for joining me on my adventure in game design/writing/self-publishing. I hope that my experiences will help you to avoid the same pitfalls I encounter, and be of use in your efforts to publish your own material. I hope you will share this entry with others to help raise awareness of my own efforts as well as to help others to avoid my missteps. I hope to see you here next time. Sacrificial dagger and dire incantations: Whispers of Persephone update! As you have seen from previous entries, Whispers of Persephone is coming to Kickstarter soon. All art for the book is being painstakingly crafted by Christian Martinez whose art has graced the Tarot Adventures books. 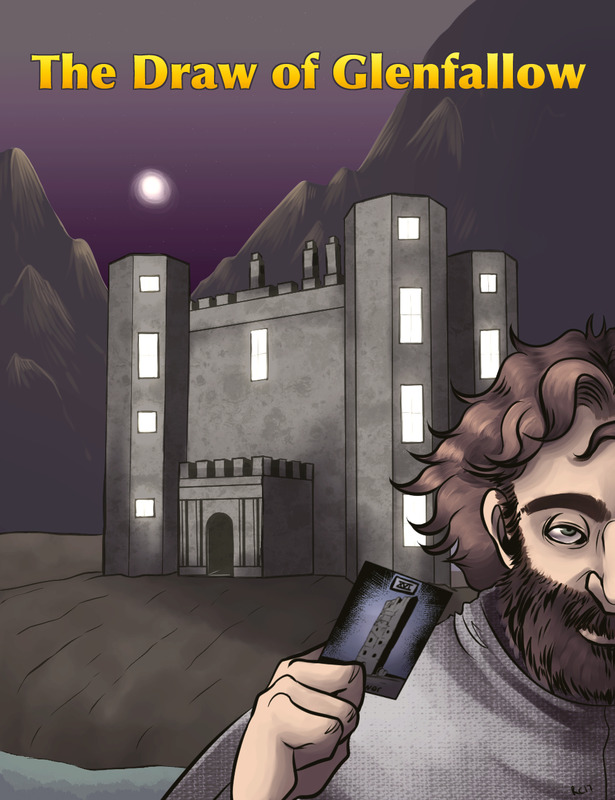 The KickStarter campaign for Whispers of Persephone is being pushed back a couple of weeks due to a combination of scheduling difficulties and ongoing fulfillment of The Steel Road. This should see the KickStarter campaign launching in September with fulfillment scheduled to be concluded in December or sooner. Coordinating a launch event, such as the one planned for this campaign, is a bit complicated. We'll be having guests appearing on the live stream for launch day and I intend for them to have play test copies in hand before that event. This requires scheduling to account for delivery of copy, as well as the guests' own calendar availability. An athame is a ritual dagger. Whispers of Persephone introduces the athame as a tool for ritual sacrifice, one used by the Stygian Necromancers as an important tool in their ritual work. The athame is valuable to these characters beyond the damage output scale and are key to the accumulation of power and dread secrets. I want to thank Christian Martinez for doing such a remarkable job on this and the other illustrations going into the book. What is Whispers of Persephone? Whispers of Persephone is a source book for the 5th edition game mechanic of the world's most popular tabletop role playing game. 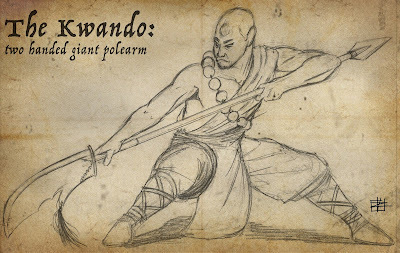 It includes the new arcane tradition: Stygian Necromancy, new spells, poisons, alchemical agents, potions, magic items, rituals/rites, feats, and narrative text complete with fleshed out descriptions of these practitioners of the darkest of arts. 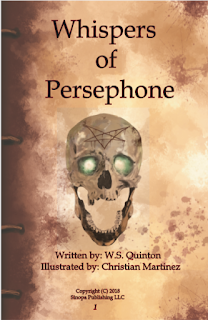 Whispers of Persephone is created to bring the 'DARK' back to the dark arts in your game. The material within is designed for use by player and non-player characters alike. Whether used by player characters or used against player characters, Whispers of Persephone brings dread evil to your game table. I use KickStarter to fund the costs for art and development of my books. I'm a firm believer in paying my artists fairly for work well done. Successful KickStarter campaigns allow me to do just that, as well as cover production costs for things like print copy. Without KickStarter campaigns and the support of backers, I would not be able to produce books that are so heavily laden with all original art. Christian is a very talented professional artist and graduate of the prestigious Kubert School. Christian has created fantastic art for other RPG books I've released, as well as for an uncounted number of clients. For more information you can access his biography. He is a remarkable talent and you'll be seeing more great work from him in the months and years to come! I've been working at a furious pace, on several projects. I wouldn't have been able to manage so many tasks if I hadn't taken the time to schedule my work and I would not have been able to adapt to unseen obstacles if I hadn't built in additional time as a buffer in my timelines. I would like to recommend that in your own project planning you remember to give yourself time to make mistakes as well as for the curve balls life sometimes throws at as us all. Remember to enjoy what you are doing, write to the best of your ability, check your game designs and have your play testers go over it thoroughly, and don't stop. You can, and will, create wonders. Give yourself the time to do so. Thank you for joining me once again on my adventure in game design, writing and self-publishing. I look forward to seeing you next time as I explore my own missteps, discuss my own project development as well as other cool things I see around, and try to leave you with information that will help you avoid mistakes I make along the way. Today I would like to say a few things about crowdfunding and the impact it has made in my work, and the lives of contributing artists. This entry talks about projects that were made possible by KickStarter backers, as well as some coming projects and the impact these have made in the lives of the contributors. I hope you'll enjoy and share this around! Cover of my first RPG release "Tale of the Wizard's Eye"
Its been a little over a year since I released Tale of the Wizard's Eye. From work on that first book, I became familiar with crowdfunding, book layout (that was harder than I had expected), fulfillment, and final publication/release. I still have much to learn, but with each book I release I strive to improve. Remember this, it is important to focus on improving your knowledge and the quality of your work. People will see your efforts reflected in the books and games you produce. Cover for "Tarot Adventures, Book One:"
With the development, crowdfunding and release of The Draw of Glenfallow, I began my first series. I think this book benefited from my experiences with TDoG. The Kickstarter campaign ran smoothly and fulfillment went well, though it ran a little late due to a printing problem. It was during the development of Tarot Adventures, Book One: The Draw of Glenfallow that I began to realize the (unexpected) impact these publications were having. By commissioning art specifically for the books I release, those artists were reaping the benefit. It feels great to cut the checks and pay people for such work, but it took on a whole new meaning when I heard things like "this paid my light bill" or "this paid for my kids lunches". I think about that often. Crowdfunding (GoFundMe, Indiegogo, KickStarter, etc) is a fantastic way for people with aspirations, creativity and drive to fund their creations. It took me a while to realize that such funding really does benefit people. Because of the success I've enjoyed from crowdfunding my books, artists have earned revenue and had their work recognized. I've seen artists who were looking for opportunity suddenly burst forth with an eagerness to create that is simply inspiring. This energy makes creating new books even more exciting for me. That said, not all crowdfunding campaigns are successful. My first attempt to fund 47 Furious Tails failed. I should have waited on the effort for more of the art to be done, and should have spent more time promoting it. This was my fault (as it always is when you own the company and/or are self-publishing). The key thing to remember, if and when you have a campaign that fails, is to not let that discourage you. Learn from the experience and carry on. I'm going to re-launch 47 Furious Tails later this year and I'm very excited to see it succeed (I hope you'll check it out and help that comic book see print). My first comic book. This is the realization of a dream that has lived in my heart for thirty years. Cover for "Tarot Adventures, Book Two: Comet over Echo Rock"
As the Tarot Adventures have continued (Books one and two are out, book three is in development), I find that I have the several artists who are willing to work on these books. There is an audience for the Tarot Adventures, a small group of game masters who have found a lot of use in these pages. I'm looking forward to launching book three, and injecting some dark horror into the story line! No art for that project is done yet, but I'll be teasing out material once it is. 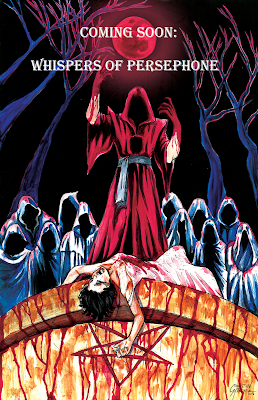 Promotional Image from "The Steel Road"
Crowdfunding made The Steel Road possible. That cannot be understated. The volume of art that went into this book (one hundred pages of illustrated weapons alone!) is not something I could have funded without such a fantastic level of support from the KickStarter community. (Thank you all!!!!) Zack Viola worked on art for this book for over a year, sketching with meticulous detail to make each piece of art fit the theme of the book. His dedication to making The Steel Road see print has been remarkable. The Steel Road is a great example of how crowdfunding your projects can have far reaching benefit beyond the immediate monetary concerns. The backers of this campaign proved (to me anyway) that Zack and I were correct in our belief that this kind of book is needed, that people would want something with this authentic look. I'm pleased to report that formatting is nearly complete on this project and I expect to fulfill the kickstarter rewards before the end of the month! I also made the acquaintance of several of the KickStarter backers, received some fantastic feedback as well as encouragement to continue to develop. As a new game designer/publisher/writer I can attest that having people send you messages saying "I really enjoyed *your book*" is an amazing feeling. I hope each of you who have been following this blog have that experience with your own releases. I use the money from crowdfunding to create the best books I can. If there is any additional revenue, I use it toward future products. Eventually I will take an income from business, but for now I'm focused on creating the best quality I can and on expanding my catalog. This has made it possible for me to put a little bit of money into projects like 47 Furious Tails and Whispers of Persephone. A year ago, the idea of releasing an RPG source book was fantastic and something I longed to do. I knew I would have to learn a lot, work hard, and I would need funding for the art and assorted publication expenses. Now, a year later, my first source book (The Steel Road) is about to come out and I am looking forward to producing Whispers of Persephone. Once again, crowdfunding helps me to realize a dream and makes it possible for me to pay my contributing artists (and to pay them fairly.. which is important). Several months ago I was approached by artists who had worked on projects for me before. They wanted to do a comic book anthology together, showcasing their individual properties and bringing their work to print. I am happy to help make this happen. We're going to launch a crowdfunding campaign for this anthology in 2019. Right now each contributor is working on the art, color, and lettering for these comics. It will release under Sinopa Publishing LLC (my company) with proceeds going primarily to print production and to benefit the artists. 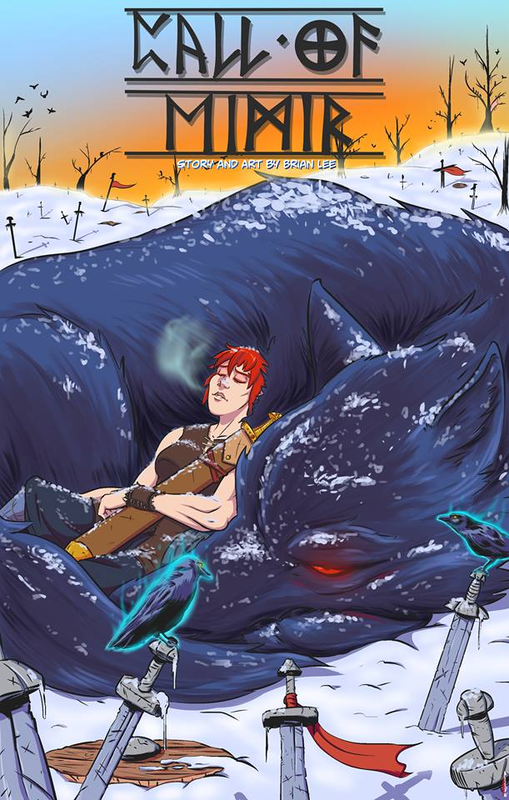 Crowdfunding this project will make it possible for this anthology to be produced in print, giving the artists copies they can take to conventions and sell at their local comic shops. Each month, as more pages come in, the book begins to take shape before my eyes. I want to give a heartfelt "Thank you" to Alexia Veldhuisen, who took on the job of art coordinator/editor to oversee page production. I look forward to sharing more about this project with all of you soon! I hope that you will benefit from crowdfunding your projects and that you will take the time to enjoy the enormity of the impact it can make in your life, the lives of those people contributing to your project, and the joy it can help bring to your audience. Your life and work touches the lives and work of so many others. Having the funding made available to complete your project can certainly provide monetary benefit but, to my thinking, the benefits of crowdfunding go well beyond your wallet. Give each project your best effort, your audience deserves it. Use your crowdfunding efforts to get to know your audience, connect with the community, and bring about success for the people working with you. Thank you for joining me again as my adventure in writing, game design and self-publishing continues. I hope you continue to find these entries useful to your own efforts. As always, comments and questions are most welcome. Writing, publishing, and game have become a fierce passion of mine. Over the last year I've made the acquaintance of (and built professional relationships with) several artists, other game designers, a handful of bloggers and podcasters, and received some very helpful criticism. Since I've begun this journey I've launched five Kickstarter campaigns, with four funding. I'll soon be fulfilling The Steel Road, and will then launch my sixth KickStarter campaign for Whispers of Persephone. I've had a fantastic time as release books and plan for the release of exciting new titles! This is just my experience, short as it may be. For all of you who have been reading this blog, the trio who follow it and all of you who follow me directly, I want to thank you for joining me on this journey. Many of you are creating your own content and planning on publishing. Some of you have been planning on doing so for quite some time. I would like to encourage you to take the next step, to put your material together, to copyright and upload your book and share your vision with the world. Whether you write darkly beautiful horror, romance, fiction or non-fiction, comics or games, your creations bring you joy. I tell you that it is a wonderful experience when people are reading your work or playing your games. Yes, even if it is only a handful of people. Yes, even if you aren't making your living or even most of your income from your writing and development, it is worth it. 1) Something you created ~ Write the book, create the game, draw/ink/color/letter the comic (yes, comics are a LOT of work). Have a few people look it over for any problems. Accept the criticism for what it is worth. If people aren't being constructively critical, I don't listen to them. "I don't like" isn't enough, you need criticism that analyzes the problems so you can understand them and decide whether they are actually 'problems' or not and if they need to be edited or left in. Produce to the highest quality you are capable of and keep at it. Hone your skills by using them and create better books each time. 2) ISBN and Bar code for printed works ~ This is an expense and was one of the things that pushed me toward crowdfunding (along with the need for copious amounts of art). Amazon talks about these at length. As my use of these is based on that source I'll leave the link to that information HERE, but you can also get a lower cost per ISBN and Bar code by picking them up directly in larger numbers (see details HERE). Do yourself a favor and read it. Don't skim it, don't just go to the comments on forums, read the information and digest it. rather than $130 each. Save yourself some money in the long term. 3) Digital, Print or Both ~ Decide how you make your book available. For those of you who have a print run done, make certain to identify where you will sell / distribute these copies. Conventions and book signings are a great place to go, but having copies in local book/comic/game stores can be fantastic. 4) Have fun promoting your book ~ I want to thank my old friend, author Micah McGurk, for inspiring me to start writing again. One of the things I learned from watching Micah is that you should enjoy promoting your work. It really is that simple. Do things that you enjoy and introduce people to what you are doing. By way of example, I do book signings at comic and game shops, I blog and do podcast interviews (thanks to everyone who has had me on), I talk with my KickStarter backers, and I have fun doing these things. This makes promotion of your books less a chore and more of an experience. Try it, I think you'll like it. These four things are the bare bones, high level overview of self-publishing, as I understand it. This is about getting your feet wet, and creating a habit of being an author and game designer. Put yourself out there, invite the criticism, be gracious with everyone (fan and troll alike), and share your vision with the world. One of you may be the next Charles Stross, Jim Butcher, Stan Lee, or James Vail. The world won't know until it sees what you can do. I hope you'll be sharing your vision soon. Thank you for joining me once again for my adventure in writing, game design, and self-publishing. I hope you get good use from my experiences, mishaps and opinions. 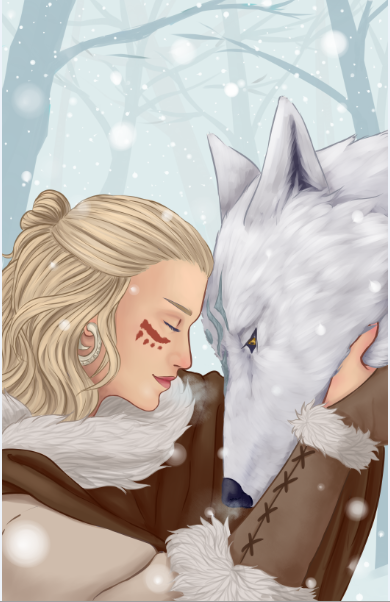 Art for this entry was created by the very talented Lotus Blair, and comes from a comic anthology project currently in development. I'll be releasing that project in 2019. I hope you'll check it out as it is AWESOME!